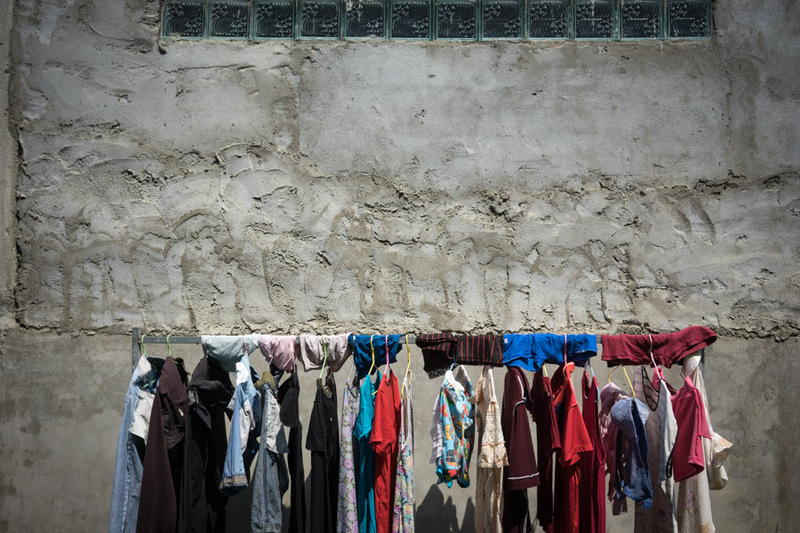 Ly Kith, 25, locks the door of her tiled room, in her factory worker compound, and walks down the concrete staircase outside, where modern clothes hang on rails to dry. She walks down the road to the bustling market to buy vegetables, and cuts of meat, in Kandal province, just outside the capital of Phnom Penh, where she lives. 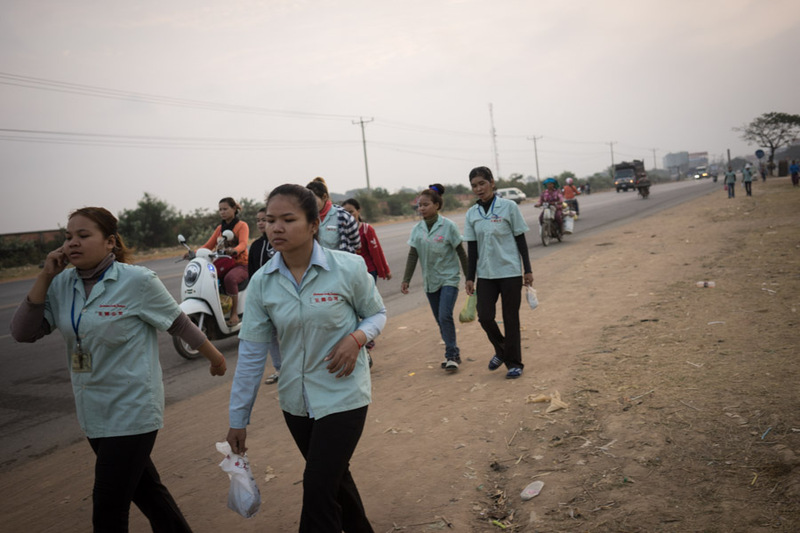 Ly Kith, an indigenous Sui from Kompong Speu province, moved to the more urbanized province of Kandal, dotted with factories along the roads, 4-years earlier when she was 21-years old. Starting work in Continuous Lucky (Cambodia) Limited, she makes shoes in the garment factory, working 8-hours a day- earning $180 a month to send money home to her family. She left her home town along with six other indigenous Sui women from her village, who also migrated for economical reasons. With five younger siblings, and her mother in Kompong Speu, as the eldest she carried the burden of supporting the family. 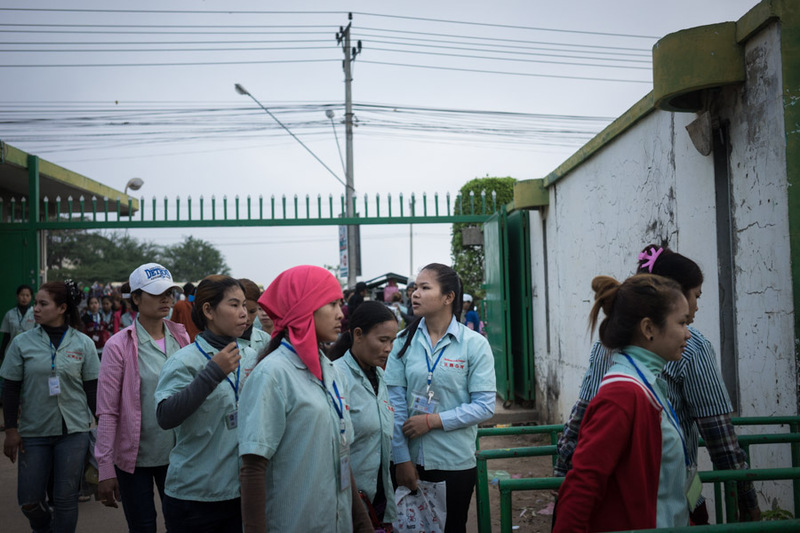 Ly Kith never wanted to leave the village, but with her families economic situation, she had no choice but to leave the village to find work in the garment industry, to secure money to support her family. Back in her home village, she practiced traditional rotation farming, of which she enjoyed. 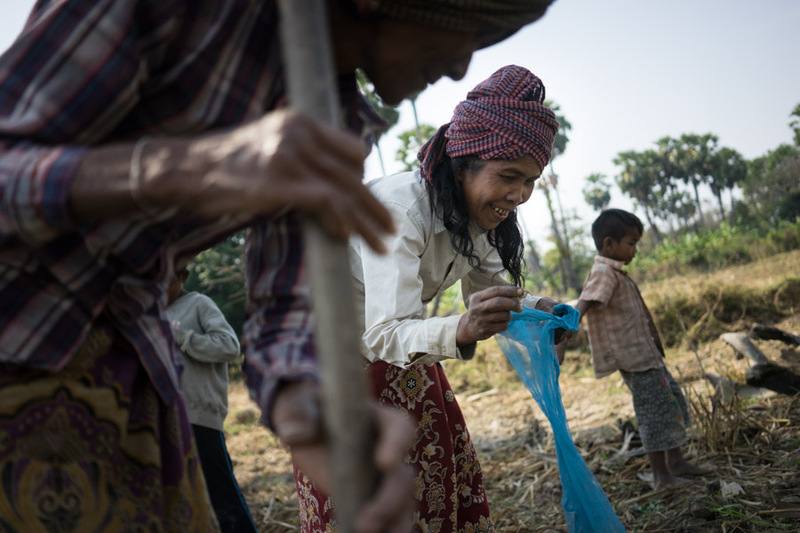 But with the climate changing rapidly, and natural disasters such as flooding and draughts becoming more frequent within Cambodia, making a living from farming became increasingly more difficult. Farming became a struggle, as the rains became more irregular, and yielding bad crops more regularly. Without good crops, families could not survive, forcing young people to migrate. Ly Kith misses home, but has no other options than to work at the factory. Across the provincial border, back home in Kompong Speu province, Sok Ouy, 44 (Ly Kiths mother), darts around an arid field, which was once a pond, attempting to catch frogs to cook for dinner. Once she has caught enough, she walks through the indigenous Sui village of just 53 families, back to her open thatched roof hut, to cook the freshly caught frogs for dinner. 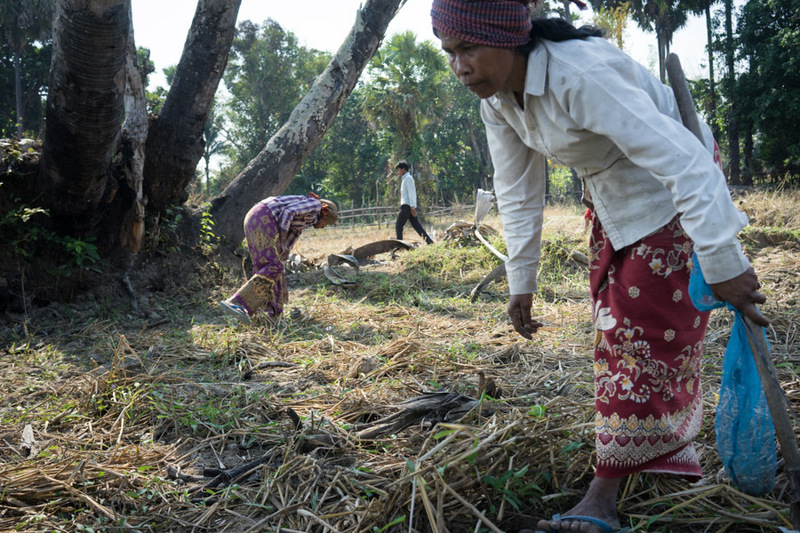 With seasonal failing rice crops, she often has no income, leaving her to rely on her children for financial support. The community once also relied on natural resources from the forest, but with Economical Land Concessions/ large scale land grabs nearby, from big sugar companies such as HLH Agriculture, as well as private land concessions believed to be purchased by the government or private businesses, the once rich forest is rapidly dwindling. Before they could collect tree resin and natural resources to sell, but the majority of the nearby forest has been illegally logged, on a large scale, by large companies. Despite having a protected community forest, she says illegal loggers came in a long time ago, cutting down all the large trees. Now the community burns the land, to clear it in order to continuing farming. She says they can no longer make a living in the village, and cannot rely on agriculture work anymore. Now the younger generation must leave the village to find work in other provinces.